OPEC has recently expressed concerns regarding its plans to drain the global glut—which is supposed to help raise crude prices—is failing. At a long-planned meeting in St. Petersburg, Russia, today, the organization convened to discuss the current state of the global oil market, with big producers outside the cartel making it all quite a critical gathering. Indeed, over the weekend, the Organization of the Petroleum Exporting Countries (OPEC) met, noting that its ministers have held many “intensive consultations,” in regards to these challenges they are now facing. In particular, they are looking at cutting this output in a deal which the 14-country cartel contracted with Russia and other big oil producers. In all, this new agreements was supposed to reduce the crude oil supply by 1.8 million barrels to drain the global market glut. Obviously, this is important in a time when heavy stockpiles continue to keep prices low—for the past three years. 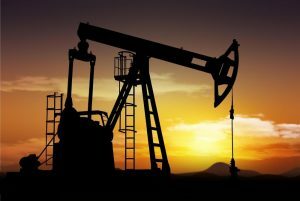 As a matter of fact, the international benchmark—Brent crude—fell by a shocking 2.5 percent on Friday, to rest at $48.06 USD, on the heels of doubt that OPEC will not be able to turn the market around. Fortunately, by Monday, Brent oil prices had already managed to bump up another 1 percent—to $48.50 USD—at the mention of a cap on Nigerian output from Saudi Energy Minister Khalid al-Falih. He said that the kingdom would reduce exportation to 6.6 million bdp next month; demand at home is on the rise, but this would still cut year-on-year bdp by upwards of 1 million. Falih went to confide that even though global stocks had fallen, overall, by 90 million barrels, that was still roughly 250 million barrels more than the average five-year average for industrialized nations. Furthermore, this is still in line with both OPEC and non-OPEC states output curb targets. Falih will preside over Monday’s meeting with his Russian counterpart, Alexander Novak, focusing on a few key issues. Primarily this involves investigating output in Libya and Nigeria.